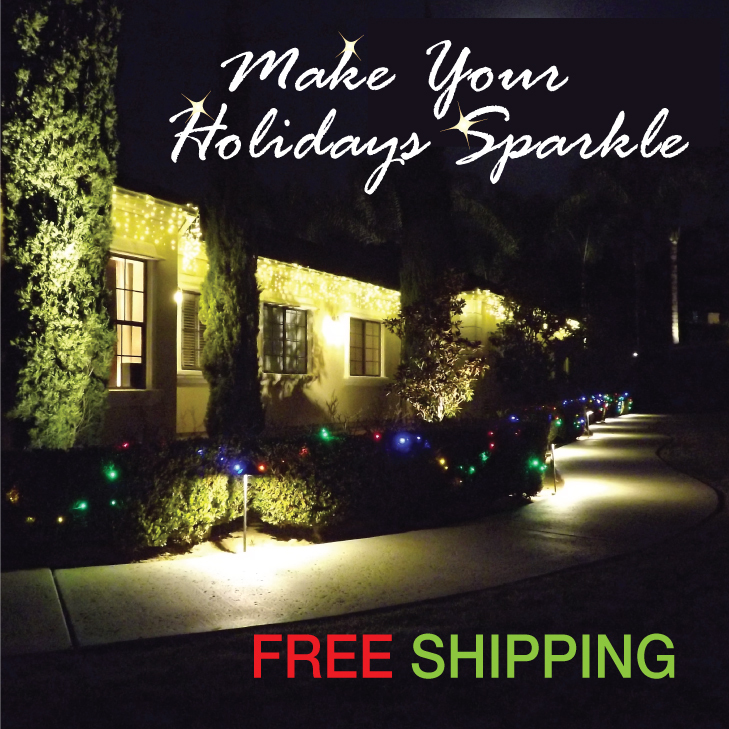 EnvironmentalLights.com, a leading source for high-quality, energy-efficient LED lighting, recently announced that they will be offering free ground shipping on LED multi-function Christmas light orders placed between November 28 and December 5, 2012. Based on the popularity of their multi-function lights, the company decided to offer free shipping for any orders including these items. One of the multi-function light systems included in the offer is the Versaline Plug-and-Play light system. The 3-channel Christmas light system runs on 24 volts—a non-lethal voltage which enables a safe, low voltage installation. The six different lighting options can be used in conjunction with each other, and when paired with a controller the entire light display is capable of phasing, flashing, chasing and more. Their Versaline 3-Channel Chasing LED Christmas Light system allows you to connect a variety of light strings, icicle strings, meteor shower strings, 3D motif decorations, crab lights and net lights into a stunning display of flashing lights. Also included in the free shipping offer are Solar LED string lights. Each string set comes with its own high quality solar panel and high capacity storage batteries for high brightness and long run time. A variety of colors are available, and each set also includes six functions to choose from for lighting effects. EnvironmentalLights.com recently reduced their prices on Solar LED lights for the holiday season and are now offering them at 50% off their retail price (originally $45 per set and now $23). New prices are listed on their website. The free ground shipping promotion from EnvironmetnalLights.com ends on Wednesday, December 5, and they will honor any orders placed between now and midnight on December 5, 2012. For more information on the promotion details and all multi-function lights included in the offer, please visit http://www.environmentallights.com/sparkle. EnvironmentalLights.com is a leading resource for sustainable, energy-efficient LED lighting products to meet the needs of business, commercial and residential clients. Their in-house sales engineers provide expert advice in the selection and design of lighting systems, as well as technical support throughout the installation process. EnvironmentalLights.com offers a broad spectrum of LED light bulbs, strip and rope light, under cabinet light systems, Christmas lights, dimmers, controls and necessary hardware for any lighting project. For more information about Environmental Lights, visit http://www.environmentallights.com/.